Big One is a flowering booster based on plant extracts such as algae and alfalfa. It has a high concentration that provides great results and potency. 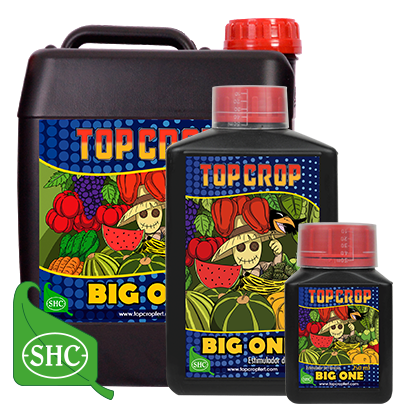 Big One increases the size of flowers up to 40% and the amount of resins and essential oils more than 30 %. It's recommended don't increase the doses due a high concentration. The application - 2 ml/L of water. Consists of 20% of algaes.